The Windy Ridge Band has been playing bluegrass music at festivals, coffee houses, restaurants, parades, private parties and even a rodeo since the band was established in 1989. 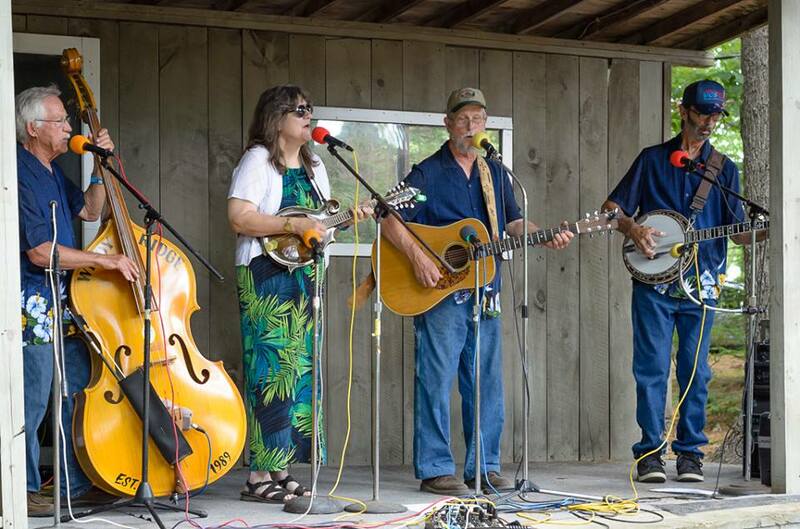 They play a variety of their favorite traditional bluegrass, folk and Americana songs and feature many songs written by Jim Chard. As a band comprised of U.S. Veterans, Windy Ridge has recently participated in the National Veterans Creative Arts Festival. They were honored to win first place for categories entered in both 2014 & 2015 which resulted in showcasing their talents in Milwaukee, WI and Durham, NC at the NVCAF annual show. Another of the band’s highlights include their 2011 CD “Invitation” comprised entirely of Jim’s original tunes. Founding member and award winning songwriter Jim Chard sings lead and plays guitar and mandolin. Mama Beth Revels sings lead & harmony and plays mandolin and guitar. Frank “Woody” Woodard, an original member, sings and keeps a steady beat on the bass. Windy Ridge’s newest member, Steve Davis, adds a great sound with his skillful touch on the banjo.